Ohio TeleCom will Install, Service and Repair Nortel Norstar Call Pilot Message Networking Meridian Business Telephone Systems in Dayton, Columbus, Cincinnati Metro Areas. This guide explains how to use Message Networking with your personal mailbox. 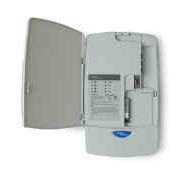 Message Networking links CallPilot or other voicemail systems at different locations. exchange of voice and Fax messages between users at different sites on a network. AMIS provides voice messaging to mailboxes at different sites on a communication network. site on the network must have AMIS to send, receive and reply to network messages. Sending a message across a network is as easy as sending a message down the hall. There are three ways to send a network message. can be subject to interception by unauthorized parties. Note: Network messages can be composed and sent only from your mailbox. You cannot send a network message by using the Leave Message feature (≤·°‚). Network Delivery Mailbox when you create it. Network Delivery Mailbox on the Miami system. interface you use, or the CallPilot Reference Guide. which mailbox interface you use” on page 6. CallPilot supports the Norstar Voice Mail and CallPilot interfaces. 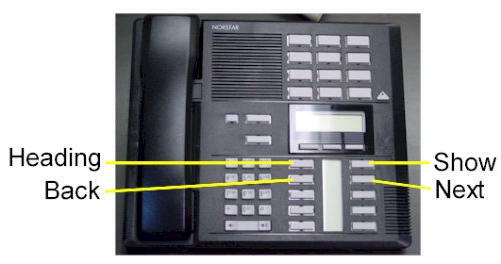 This is the Norstar Voice Mail interface. This is the CallPilot interface. destination site user’s name appears in the company directory. create a Network Delivery Mailbox for you. 1 Open your mailbox using ≤·°⁄. 2 Enter your mailbox password and press OK or £. 3 Press REC or ‹. 4 At the tone record your message. 5 Press OK or £ to end the recording. 6 Press OK or £ to accept the recording. 7 Enter the Network Delivery Mailbox number. press CC to send the message to another recipient. 9 Press ®to end the session. 2 Press COMP or ‡fi to open the Compose Message menu. 4 Press REC or fi to begin recording. 5 Press OK or £ when you are done. 6 Press SEND or ‡· to send the message. 7 Press ®to end the session. destination site and the mailbox number of the person you want to send the message to. Ask your System Administrator for a list of destination sites on your network. 2 Press REC or ‹. 3 At the tone, record your message. system times out after five seconds of silence. 4 Press OK or £ to end the recording. 5 Press OK or £ to accept the recording. and press OK or £. 10 Press SEND to transmit the message. 11 Press ®to end the session. Follow the voice prompts or display options to open your mailbox. 2 Press COMP or ‡fi to open the Compose Message option. press DONE or £ if you are finished entering addresses. 6 Press REC or fi and record your message at the tone. press REREC to erase and re-record your message. 8 Press SEND or ‡· to send the message. Direct Addressing lets you send a voice message to a mailbox at a different location on a network. Ask your System Administrator for the destination site’s phone number and mailbox numbers. 4 At the tone, record your message. 9 Enter the destination site phone number and press OK.
10 Enter the destination mailbox number and press OK.
12 Press SEND to transmit the message. 13 Press ®to end the session. 3 Press SPEC or ⁄·. press ADD or ¤ to add special characters. Press OK or £ when you are done adding special characters. 6 Enter the mailbox number at the remote site. 7 Press OK or £ to accept the mailbox number. enter another address to send the message to. 9 Press REC or fi to record your message. press REREC or fi to rerecord your message. 11 Press SEND or ‡· to send the message. 12 Press ®to end the session. press fl to listen to your saved messages. 6 Record your reply message. 7 Press OK to end your recording. 8 Press OK to accept your recording. If you are using digital networking, the display in step 10 appears. If you are using AMIS, go to step 11. 11 Press SEND to transmit the message. 12 Press ® to end the session.